The British Liver Nurses' Association (BLNA) is a special interest group of the British Association for the Study of the Liver (BASL). The BLNA is a new organisation formed following a merger of the BASL Nurse Forum and the British Liver Nurse Forum and was launched at the Nurses Meeting at BASL on 21st September 2017. The promotion of a collaborative and multi-disciplinary approach to caring for people with liver disease. BLNA aims to offer support for all nurses who see patients with or at risk of developing liver disease. Nurse members of BASL currently include nurses working within gastroenterology wards, the community, research, paediatrics and transplant, but with one common goal - to improve care for those with liver disease. The BLNA are holding two nurse meetings in 2019. The first took place on Friday 22nd March in Birmingham and was a great success. The second nurse meeting is taking place during the BASL Annual Meeting in Glasgow in September. The event is being planned to start on the afternoon of Wednesday 18th September and continue all day on Thursday 18th September. A full educational programme is delivered and the meeting offers a fantastic networking opportunity. Nurse travel bursaries are usually available to attend the Nurses Day at the BASL Annual Meeting, and when available are advertised on the BASL website Events page. Follow BLNA on Twitter https://twitter.com/livernursing?lang=en-gb . Michelle is a part time Lecturer in Liver Care at the University of Leeds and a part time Liver Nurse Educator at St. James’s University Hospital, Leeds. 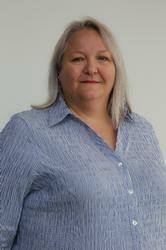 Michelle has over 25 years of experience in the field of hepatology and liver transplantation. Michelle is passionate about championing quality care for people with liver disease. She has been integral in launching the British Liver Nurses’ Association (BLNA); she also holds a steering committee position on the RCN’s Gastrointestinal Forum. Michelle has a large portfolio of publications and speaks both nationally and internationally on care considerations for people with liver disease and liver transplantation. Michelle led and successfully launched the “Caring for People with Liver Disease: A Competence Framework for Nursing” in February 2013 and collaborated with Lynda Greenslade to update the framework in September 2015. She has recently been asked to join the EASL concerted action group for nurses to raise the profile of liver nursing across Europe. In 2012, Michelle won Gastrointestinal Nursing’s “Educationist of the Year” award for her work in advancing liver nurse education and care. She is on the editorial board of Gastrointestinal Nursing and was integral in developing the journal’s Liver Nursing Supplement. 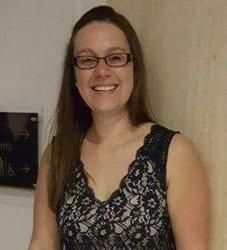 Sarah Fairclough BSc (Hons), independent Non-medical prescriber is the Lead Liver nurse specialist at Basildon & Thurrock University Hospital. She has worked within Gastroenterology and Hepatology for the 16 years. She has a specialist interest in decompensated cirrhosis and its long term management including, improving quality of life and end of life care. She also has a keen and active interest in research and service development. Lynda is a liver nurse with a long relationship of working with patients and their families with liver disease. She was first hooked as a student nurse at the Royal Free working on the liver unit which was a mad house, interesting but busy. After a spell on orthopaedics she went back as a staff nurse because she missed the buzz of livers. After a quick detour into Intensive care at The Middlesex Hospital she ended up back at the Liver Unit at the Royal Free. Since then she has been a ward sister, a research nurse working mainly in portal hypertension. In her current role she is a lead nurse specialist practice in hepatology managing a team of hepatology nurses and in her clinics she mainly looks after patients with the complications of liver disease, stable cirrhotic’s and haemochromatosis. Currently she is working on a project with the Marie Curie Palliative Care team and hepatology to try and improve end of life care for patients with end stage liver disease. She is also a committee member of the RCN Gastroenterology Forum and enjoys teaching both in the clinical area, at conferences and university. The Royal Free has recently developed a university sponsored liver course. Gemma trained at Birmingham City University graduating in 2009 with a BSc (Hons) Nursing and in 2014 with a Graduate Certificate (Hepatology). She returned to study in 2017 to complete her Health Assessment and Independent Non-Medical Prescribing. She joined the Liver medical team at Queen Elizabeth Hospital Birmingham in 2009, moving with them into the new QEHB in 2010 working on Ward 726 - a Liver medical & surgical unit. Here Gemma looked after complex patients including post-transplant, end stage liver disease and those with cancer, becoming Sister in 2012. From 2015 Gemma also worked as a Viral Hepatitis CNS. As of August 2017 she has become a full time CNS. A previous member of ITNS Gemma is now a member of the BLNA and the Midland Hepatitis Nurse Forum (MHNF) which saw her become Co-Chair in 2019. She has written for publication for the Nursing Times. Adrian currently works as a University Lecturer at University of West London. He is a dual qualified nurse and was an Advanced Nurse Practitioner within Acute Medicine, Specialist Medicine, Emergency Medicine, and Addictions. He was also the Lead Nurse for Hepatology and Alcohol Services within a large trust in London. He was originally introduced into viral hepatology where he ran blood borne virus clinic two decades ago screening patients for HBV and HCV. His interest in liver health moved into working with individuals with alcohol and drug-related issues in a variety of community and inpatient settings, where he has been involved in developing Clinical Pathways and National Guidance for the screening of both physical and mental health problems. Adrian is passionate about improving care to those patients with alcohol-related liver disease. He has been involved in the recent NICE guidelines for ‘Alcoholic Hepatitis’, ‘Alcohol-use disorders: diagnosis and management of physical complications.’ as well as the RCEM ‘Alcohol Toolkit’. He was also involved in the James Lind Institute and the National Institute of Health Research for priority setting for the management of liver disease. Adrian is also the current President of the International Nurses Society in Addictions (UK Chapter) and is also involved with them internationally. He has taken a specialist lead in physical health assessments for those patients with addiction and liver problems. Adrian is also on the Educational Committee of the Medical Council of Alcohol and is on the editorial panel for GIN. He has presented both nationally and internationally about competencies for nurses looking after patients with acute and alcoholic liver disease. Dean is nurse consultant for viral hepatitis at the Royal Berkshire Hospital. He has focussed on blood borne viruses for more than twenty years working in UK clinics and abroad. He developed HIV counselling training for the UN in India and has worked for the British Council, CDC and Medicines Sans Frontieres in Russia, the Ukraine, Kenya, Tanzania, Uganda and Malawi. He has an interest is in community capacity building in relation to blood borne viruses and particularly in relation to Asian populations. Dean developed the BBV Champions project in 2010 for which he was awarded Gastrointestinal Nurse of the year in 2012 (Innovation in service provision award) he was also awarded “Health care worker of the year” in the 2012 Pride of Reading awards. Dean is a counsellor and holds an MA in Psychoanalytic Studies. He is particularly interested in the psychological impact of blood borne viruses. Dean is an independent prescriber and passionate about nursing. Outside of clinical work Dean is a keen scuba diver and works as a freelance writer and photographer for a number of boating and diving journals.